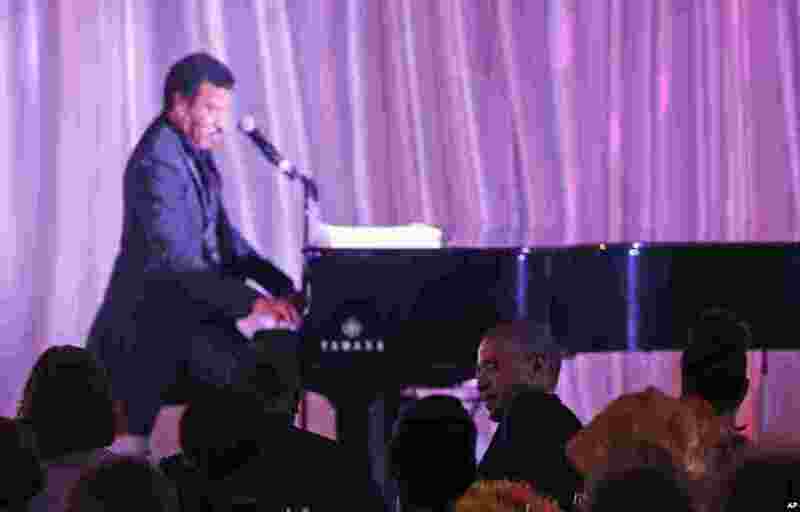 5 Singer Lionel Richie performs at a dinner hosted by President Barack Obama, seated second right, with first lady Michelle Obama for the U.S. - Africa Leaders Summit, on the South Lawn of the White House, Aug. 5, 2014. 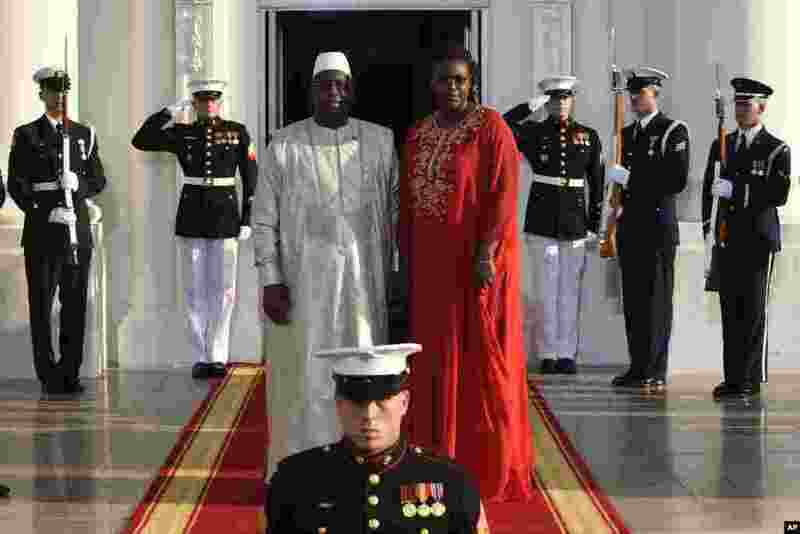 6 Macky Sall, President of the Republic of Senegal, and his wife, Marieme Sall, arrive for a dinner hosted by President Barack Obama for the U.S. - Africa Leaders Summit, Aug. 5, 2014. 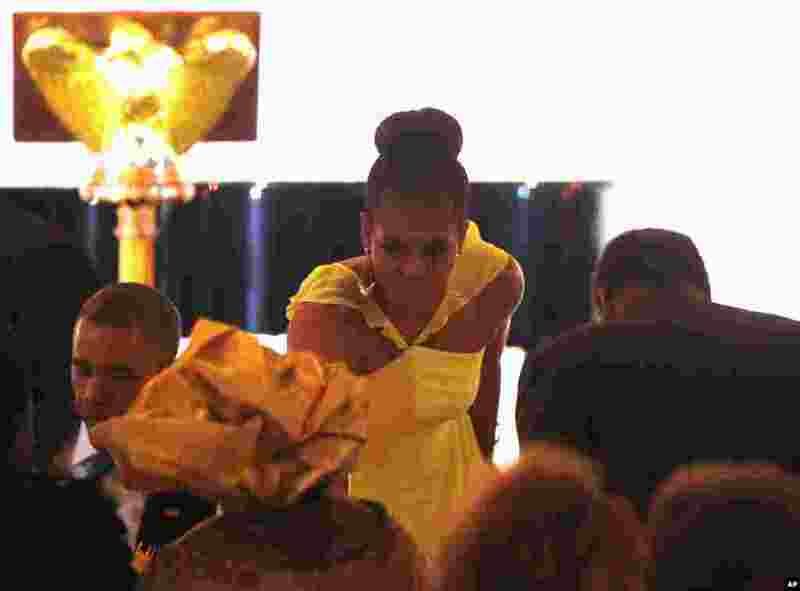 7 First lady Michelle Obama takes her seat following President Barack Obama's toast at a dinner for the U.S. - Africa Leaders Summit, on the South Lawn of the White House, Aug. 5, 2014.